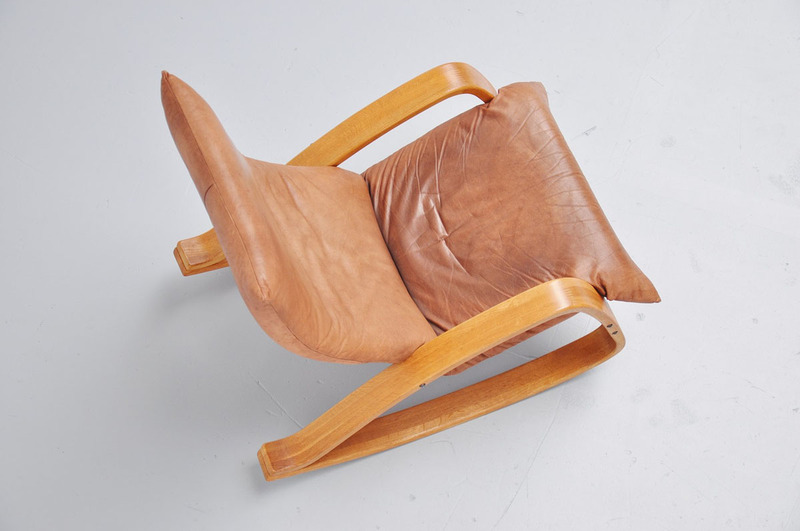 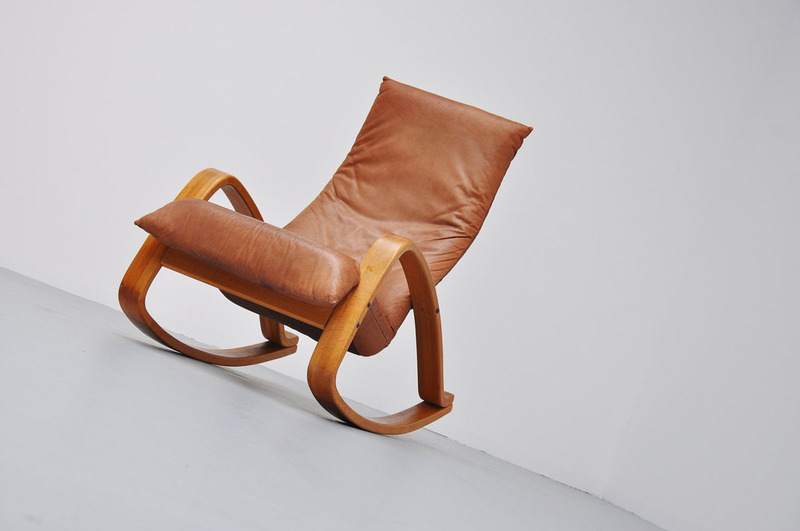 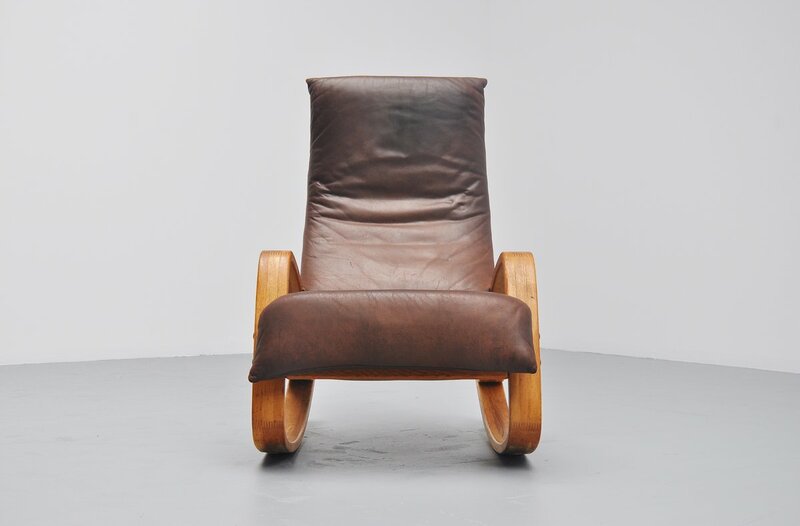 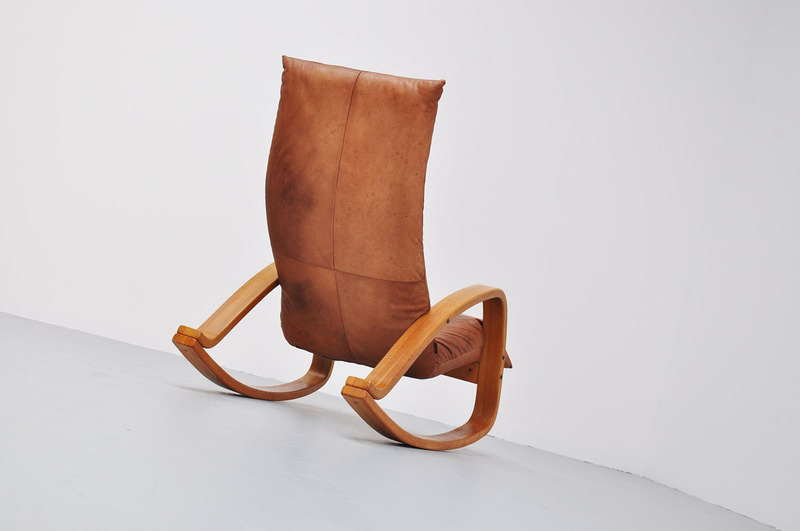 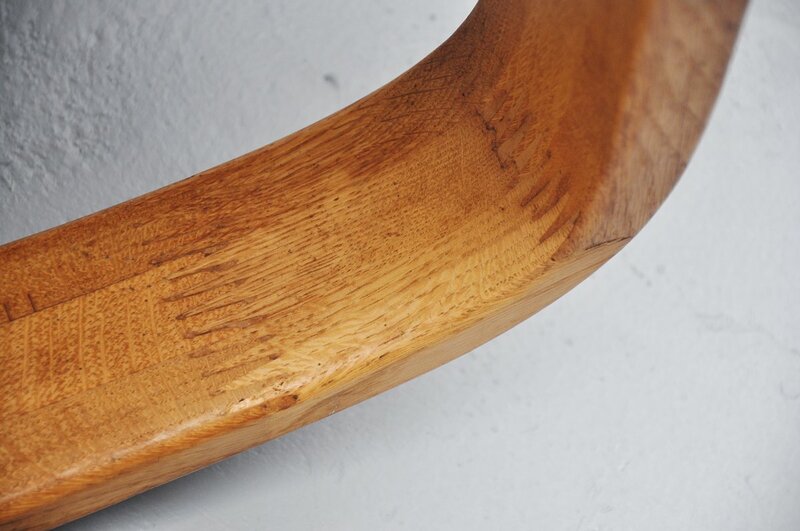 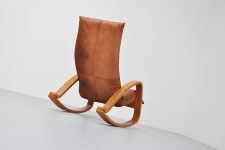 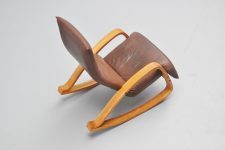 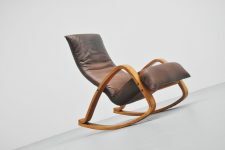 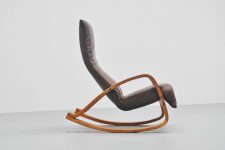 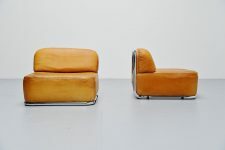 Rocking chair designed by Gerard van den Barg for Montis, Holland 1970. 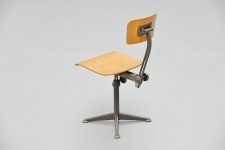 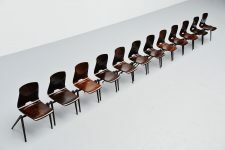 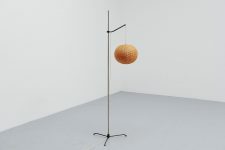 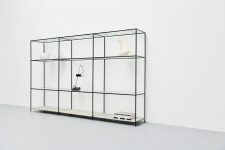 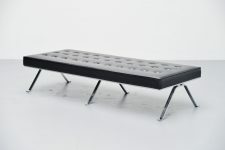 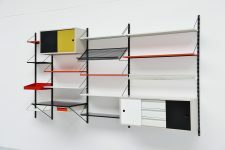 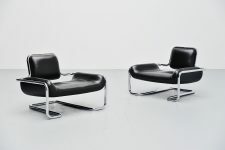 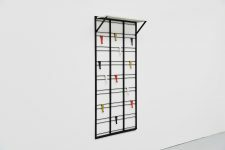 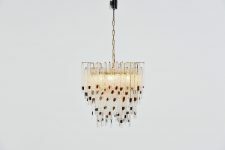 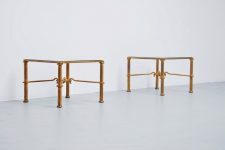 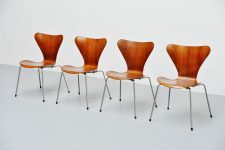 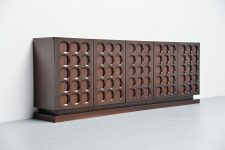 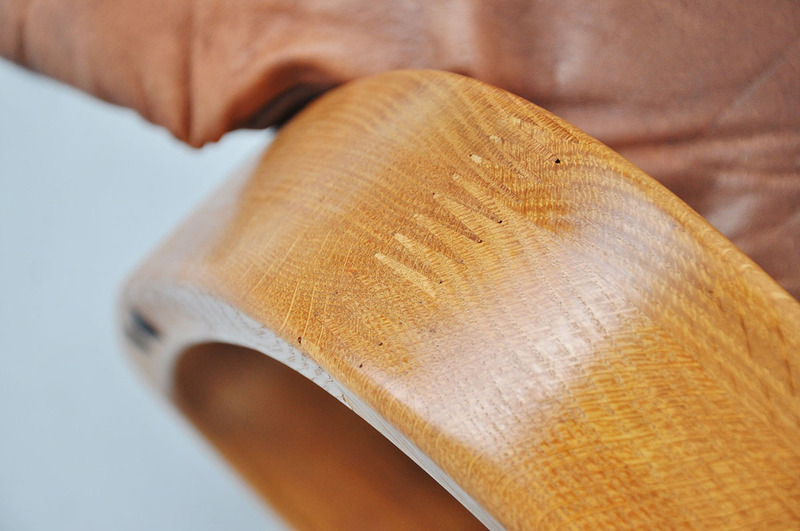 This model was called Onrad and is documented in the Montis Catalogue from 1972. 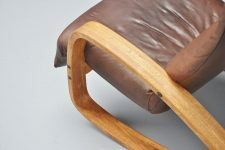 Very nice and comfortable rocking chair with cosy leather seat and fantastic bent solid oak frame with very nice dovetail connections. 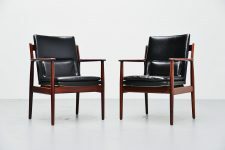 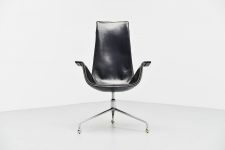 Quality chair and the leather has been reconditioned with a leather care product.